The Russian government issued an order on March 15 to approve Moscow’s Ramenskoye Airport (ZIA) for international flights. The appropriate decree has been published on the official government website. This step precedes opening of a customs checkpoint at the airport, according to the decree, and the air gateway will officially receive international status only after the border-crossing checkpoint has begun operation. As the airport’s operator, Ramport Aero, told Russian Aviation Insider, the customs checkpoint is expected to be opened in early April. The company plans to obtain an Aviation Security Certificate by about the same time; the certificate cannot be issued until the official decree on the airport’s opening for international flights has been issued, clarified the company’s representative. At present, a relevant committee is working at Ramenskoye Airport. The air gateway’s representatives are already cooperating with the Ministry of Transportation in the matter of opening a checkpoint at Ramenskoye. The Ministry started dealing with this issue after it took over the corresponding functions from the Russian Border Services Agency, pursuant to a decree dated February 2, 2016. Until now, the airport has been handling only international cargo flights, in particular, flights of the Ministry of Emergency Situations, which is based at the airport. As a result, it has an operating cargo checkpoint already; it is only the passenger border-crossing checkpoint that is currently under development. 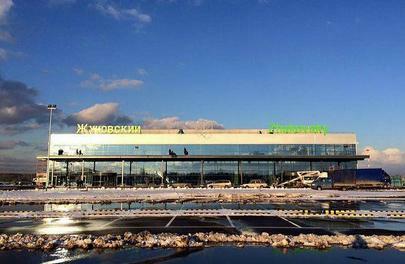 In the beginning, Ramenskoye Airport was planned to open on March 15, 2016. It was to serve about 2 million passengers during its first year of operation. It is not known yet which carriers are interested in using flights from this airport, but it was reported that the airport will focus mainly on low-cost airlines. Ramenskoye International Airport will become the fourth fully functional airport system of the Moscow’s Aviation Cluster, which is compatible with low-cost airlines’ requirements. As the Russian Minister of Transportation Maxim Sokolov stated at a meeting held by the Federation Council on March 22, it is possible that Ramenskoye Airport will begin to serve passengers during the FIFA World Cup in 2018, reported TASS news agency.